July 2017: To meet your business objectives, you need IT team members who are excellent at the technology areas that make your business shine. In order for someone to become excellent at something, they need to be able to focus on it. Practice make perfect, right? So if your organization has a small IT department that’s responsible for a lot of different functions, it may do a good job keeping everything going but it probably struggles with becoming truly excellent in any specific functions. On the other hand, if your IT department focuses only on the specific IT functions that meet your business objectives, it’s much more likely they’ll become excellent at them. To align your IT staff with your business objectives, choose internal IT staff that is (or can become) excellent at the specific IT functions that will actually improve your business. It’s not that other IT functions that aren’t important — of course your organization needs networks and systems that are highly available, stable, up to date and secure. But having expertise in things like network management and virtualization probably won’t get you more customers. For IT responsibilities that aren’t related to your business goals, what you need is IT competence. Let’s say an insurance company wants products that are easy for customers to find, buy and use. Having an excellent web presence will be critical. Potential customers will need to be able to select the product they want and pay for it, and existing customers will need to update their coverage and file claims. By delivering convenient processes for prospective and existing customers 24/7/365, the insurance company is gaining a competitive advantage. Therefore, the IT staff should be made up of app developers and interface experts who learn the insurance business inside out and make the company’s products work seamlessly. A property management company that wants to keep its tenants happy and attract new tenants will want to provide top-notch technology features to make the property more attractive. Reliable high-speed internet, mobile phone coverage throughout the building, a parking system that’s easy to get in and out of — these are the kinds of things that matter to tenants and to the tenants’ customers. So to align its IT staff with its business objectives, the property management company should hire IT experts who can ensure all features function properly at all times and perform duties related to getting new amenities in place or updated as soon as tenants require them or units become available for lease. A company that provides healthcare wants to make sure its practitioners and staff can access and update medical records in real time — this will help them best serve their patients and run their business more efficiently. Equally important is having secure IT systems that protect patient data. To align its IT staff with its business objectives a healthcare company needs a team that’s proficient with the electronic medical records platform. They should know how to adapt it to meet the business’s operations and help make the physicians and staff more productive and responsive to patients. Healthcare IT should be focused on helping train physicians and staff members on the proper ways to use their technology and how to protect patient data and privacy. 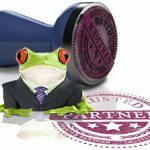 Each of the companies above benefits from knowing the type of IT expertise they need in the first place and allowing their teams the time they need to develop their expertise. Would the right IT staff also be able to handle responsibilities like network management while doing as good a job with the business-driving IT? Maybe…if it’s big enough. Next month we’ll take a look at ways to determine if your company has the right IT processes and procedures in place to meet your business objectives, and in September we’ll discuss IT tools and budgets. 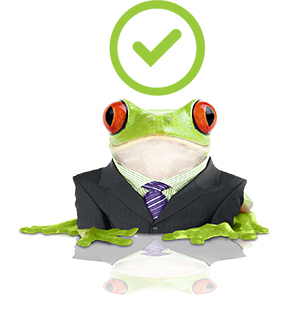 Leapfrog has been partnering with businesses to help them align IT with their business goals for nearly 20 years. We accomplish this through managed IT services, whether it’s as a single-source IT provider or as a partner for internal IT departments, with IT solutions architecture or with a la carte disaster recovery and help desk services. 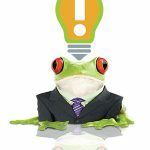 When our frogs handle IT functions that would otherwise distract our clients’ internal IT staff, our clients can truly leverage their IT to grow their businesses. If you’re interested in finding out more about aligning IT with business goals, please feel free to contact us — we’re here to help.